Fair warning, this post is all about me. I mean, me + improv, but still. If you’ve read this blog twice, you know that I have some improvy weaknesses. What I’m discovering is that, in attempting to address those improvy weaknesses, I’m compelled to address some real life weaknesses. This, people, is not fun. We all have those things that we struggle with, or things we don’t like about ourselves, or ways of behaving that we’d change if only we knew how. Improv actually goes a long way towards helping with many of those things. So, by improving at improv, you improve in real life – better listening skills, better communicating, better teamwork, more acceptance, more contributing, all those things I yammer about. But sometimes, there’s something that you have to fix in real life in order to improve the corresponding improv skill. You probably won’t know that for a long time; you’ll be doing improv and getting better at it, and you’ll see things changing in your life (for the better!) and you’ll be all, “Yay! I rock!” And you do! And that lasts for a long time. But if you do improv long enough, and are committed to being the best you can at it, there comes a time when you might start to notice that every critique, every specialty class, every against type exercise, every well-meaning troupe joke or comment about you involves a specific thing that you just can’t seem to do. Naturally, I don’t like the word “can’t,” but in some cases there is just some kind of block that prevents you from being able to do something. And then you have a choice: dig deep to figure out what in your personality is holding you back and then deal with it, or accept the status quo. Improv is about pushing yourself out of your comfort zone – but only you can decide how far out you’re willing to go. There’s no judgment if you decide wherever you are now is far enough. Sometimes people cruise along at that status quo for a couple years and then suddenly decide, it’s time for a new push. Whatever your personal goals are is fine. For me, my career and my life pretty much revolve around improv. And I have to be a role model and set a good example, which means pushing myself even when (like right now) every part of me is trying to hide under the bed and stay the way I am, the way I’m comfortable being. Comfortable is, uh, comfortable… and who doesn’t like comfort? But comfort is seductive, and there’s no growth in it. So I’m gonna keep pushing, and I’ll warn you now that I’m a bit cranky with all this effort, but I’m also pretty excited about the prospect of being better – at improv, and at life. We had a great improv show last night and it felt sooooo good to be back in front of an awesome crowd. I know performers of various ilk, and many of them are addicted to the applause of a live audience. I think applause is all well and good, but give me laughter any day. And there’s the problem. Those of us who do improv want to make people laugh. We want to create something from nothing, and we want to improve our communication skills, and we want to be more outgoing. And… WE WANT TO MAKE PEOPLE LAUGH. That desire can sometimes lead to very bad improv. See, in improv you don’t want to go for a joke or try to force funny to happen. But occasionally, somebody does do something jokey in a scene and, unfortunately, the audience laughs. That laughter is positive reinforcement for bad behavior, and the improvisor might decide to repeat that action in order to get the positive reinforcement again. So then you have a scene that, albeit funny, was actually lousy improv. It takes a lot of self-control to do good improv and let the humor emerge from the layering of information and the commitment to characters and the development of relationship. But trust me, when you do that, it will definitely make people laugh. And then you get your laugher fix and the satisfaction of knowing you didn’t go for an easy joke, or sacrifice the scene for a one liner or what have you. Yay! It’s awesome when the audience is as ready to laugh as last night’s crowd was! We have the best fans ever, and we couldn’t do this without you – so thank you, sincerely, from the bottom of our hearts. If you’re ready to laugh some more, the H2G Friday Company will be on stage at the Wine Down Lounge this coming Friday night. Come laugh at them with me, why don’t you? You know how babies can go from giddy to sobbing faster than a Ferrari can go from 0 to 60? Without getting into a whole lot of psychology and self-help talk, it’s because they don’t think about their feelings or analyze whether they’re correct and appropriate or judge themselves for having those feelings or have decades of conditioning that forces them to suppress those feelings. They feel something, and they express it. When they feel something else, they express that instead. End of story. Improv relies on huge emotional shifts and big reactions to information to drive the scene. 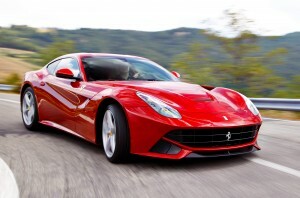 To trot out the Ferrari again, your car isn’t going anywhere (except possibly downhill fast) in neutral. Same is true of your improv scene. Neutral will get you exactly nowhere. When you feel your scene has stalled, the surest, best way to jump start it again is to have a HUGE emotional shift. If no information has come out to justify that shift, don’t fret – have the emotion and then worry about justifying it. Somehow, magic happens and just by committing to a huge emotion, the information needed to justify it flows into your collective brains and you and your scene partner manage to explain exactly why, in the middle of this boring retirement party, you suddenly became so paranoid you hid under the table. Or, you know, whatever it is. Practicing emotions is one of the things you can do on your own, outside of class, to improve your improv. Try and do it in front of a mirror, so you can make sure your facial expressions match your physical expression. Yell, scream, cower in fear, laugh until your face hurts, whatever. The more you can FEEL the difference in your face and body, the easier it will become to switch from one emotion to another on a dime. Play with subtleties, too – how does irritated look and feel and sound, compared to angry? Or furious? Look, I am the QUEEN of calm, cool and collected. Not that I don’t have emotions, but none of this “expressing” crap comes naturally to me. So I understand your angst. But if I can learn it, you can too. You are just as magic as I am. Time to talk about why improv is scary, and what to do about it. First of all, let’s be honest: improv is scary. You’re putting yourself and your ideas on the spot for everyone to see. Nothing is planned, so you may just blurt out something off the top of your head. No problem, except then you start thinking about what you said, and wondering where the hell that came from, and worrying that now everybody assumes that you regularly think about pregnant cats and bicycles. I get it. Improv is very expose-y, and you can feel very naked and judged in class. But I promise you one thing: YOU are really the only person judging you. Everybody else is so damn busy judging themselves, they haven’t given your pregnant bicycle-riding cats a second thought. At H2G, we work very hard to help you stop judging yourself because you can’t be fully in the moment if you’re judging yourself, and you can’t do good improv if you’re not fully in the moment. Still, it’s unrealistic to expect people to be adept at not judging themselves. It’s what we do as human beings. So how do you get over the fear and anxiety of improv, if it’s human nature to be self-judgy?